Tim Childers, town councilors Dicey Childers and Dennis Beavers, and Rep. Randall Shedd celebrate her recognition as the oldest serving elected official in the state of Alabama. 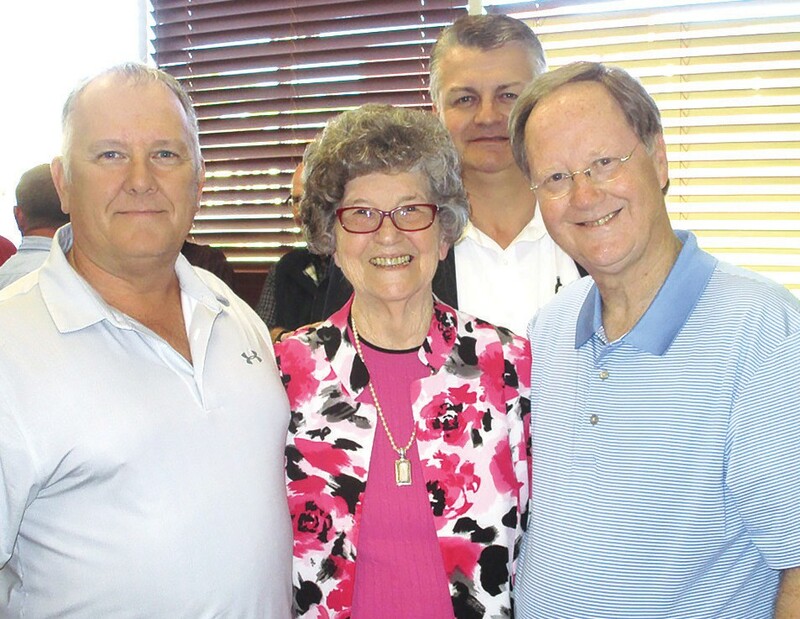 Dicey Childers, Blountsville’s woman for all seasons, was recognized Monday for what town council colleague Dennis Beavers called “years and years of selfless service” to Blountsville. District 11 Rep. Randall Shedd presented a resolution from Secretary of State John Merrill to Dicey as the oldest-serving elected official in Alabama. She was 90 years old Jan. 7. The immediate occasion was threefold: first, her recognition as the oldest currently-serving elected official; second, her 90th birthday celebration complete with cake and refreshments; and third, her belated return to Blountsville following months of recuperation and rehabilitation after sustaining a hip injury while visiting out of town before Christmas. • currently serving as a member of the Blountsville Town Council, having been elected in 2012 to a four-year term and re-elected in 2016, and being appointed to represent town parks and the fire department. Dicey now faces a hard decision: to return for good, surely, but return where? She now faces constituencies both in Blountsville and in her place of recovery clamoring for her permanent presence.